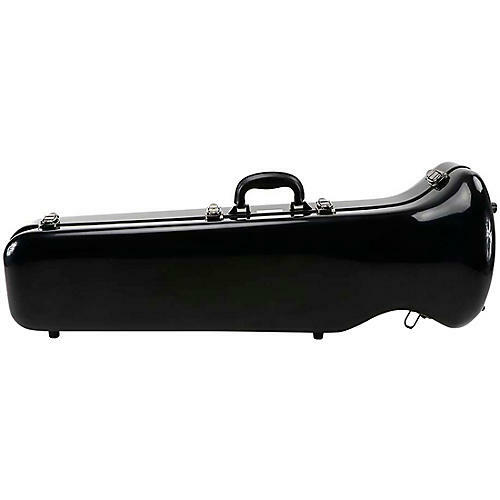 The JW-Eastman CE 178 S fiberglass case for bass trombone is a quality case that is both beautiful in design, but stable and safe as well. A plush velvet lining protects your favorite instrument and a special rubber seal keeps the elements outside. Rubber feet allow it to be stood on end or on its side. With a side handle, it can be carried like a suitcase. Padded straps also give you the option of carrying it like a backpack. The durable fiberglass shell is stylishly finished in a glossy sliver.